In the November 9 Community Conversation in Mead Chapel, a student, whose name I wish I knew, shared this quote: “You can’t be what you can’t see.” This student was advocating a more diverse faculty, a goal I endorse, and one I’d like to see extended towards staff. But I also appreciated hearing the quote because I’d been thinking about writing this essay for the library newsletter, and the quote succinctly described the rationale behind the content I wanted to share. Recently, in order to foster a more rich, engaging and inclusive learning environment, the staff in our library has been making a special effort to acquire works by and about members of historically underrepresented groups. We also have been trying to make the works that are already in our collections more visible. As the Director of Research & Instruction (R&I), I would like to tell you what my librarian colleagues and I have been doing. Who are these R&I librarians? They are Amy Frazier, Brenda Ellis, Katrina Spencer, Leanne Galletly, Ryan Clement, and Wendy Shook, and me, Carrie Macfarlane. We have been fortunate to be able to collaborate with motivated students, faculty and staff. I hope that in sharing, I will inspire more people to share their good work, too. Did you see this month’s collaborative display celebrating Native American/Indigenous and Alaska Native Heritage Month in the library atrium? That’s a shining example of our efforts not only to acquire works by and about members of underrepresented populations, but also to make the works that are already in our collections more visible. Other displays have included Disability Employment Awareness Month, and Hispanic American/Latinx Heritage Month. And, last spring, we shared Readings on Conflict, Conversation, and Resolution to help the campus renew and restore relationships after the Charles Murray visit. Our acquisitions are not limited to books; we’ve also added a database called Indigenous Peoples: North America, a digital archive of primary sources. And if you prefer graphic novels to nonfiction, you now can check out Ta-Nehisi Coates’ Black Panther, vol. 1, which centers on the fictionalized African nation of Wakanda, or Thi Bui’s The Best We Could Do, the story of a family of Vietnamese refugees. More interested in science fiction and fantasy? We’ve got you covered there, too. 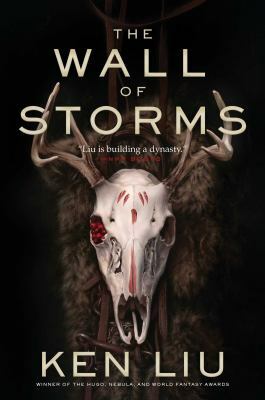 Come over to the library to pick up Who Fears Death by Nigerian American author Nnedi Okorafor, or Ken Liu’s The Grace of Kings and The Wall of Storms. You can submit purchase requests the same way the librarians do: just fill out our request form (you will need to logon using your College username and password). Our expert colleagues in Collections Management and Circulation Services will do everything they can to add your requests to the collection and into your hands. Do you like autobiography? 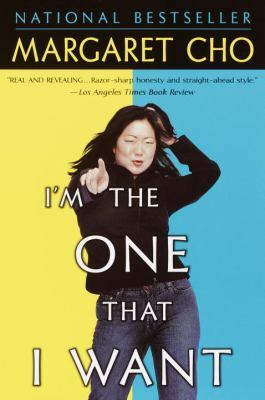 Try any of these titles, some of which were requested by people we don’t know, and all of which were ordered, processed and brought to the stacks by people outside of R&I: The Reason I Jump: The Inner Voice of a Thirteen Year-old Boy with Autism, I’m the One That I Want by Korean-American comedian Margaret Cho, and She’s Not There: A Life in Two Genders. Collection development is a team effort, and you can join the team! Want more recommendations? Each week this semester, keep an eye out for The Librarian is In, a book review column in the Middlebury Campus. And, ask a librarian! You can find all of us at go.middlebury.edu/askus. We are engaging in many types of outreach to connect our collections and services with all of our library users. Check back in the next newsletter for more updates! 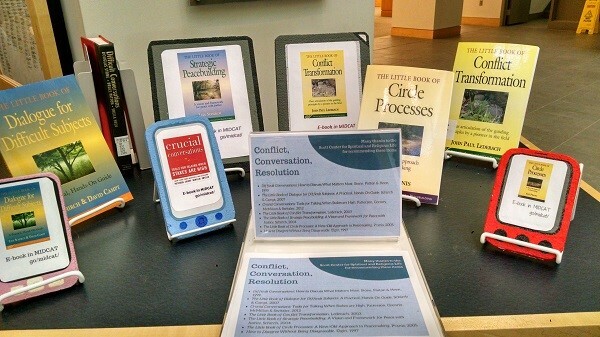 Hi Carrie – thank you for sharing this and for all the effort you and the R&I librarians have put into growing our collections and promoting them with these wonderful displays. According to a transcript of the Community Conversation published by The Campus on their website (url below), the student’s name is Shatavia Knight, class of 2020. Thanks, Mikaela! This is helpful. I just reached out to the student, thanks to you! I had only seen the printed transcript and couldn’t find the quote in it. I hope you and other colleagues will share the great work that you’ve been doing as well! Carrie, I’ve been using that same quotation: “You can’t be what you can’t see.” Really gets to the nub.